Provide a means to showcase the creative output of artists and designers. 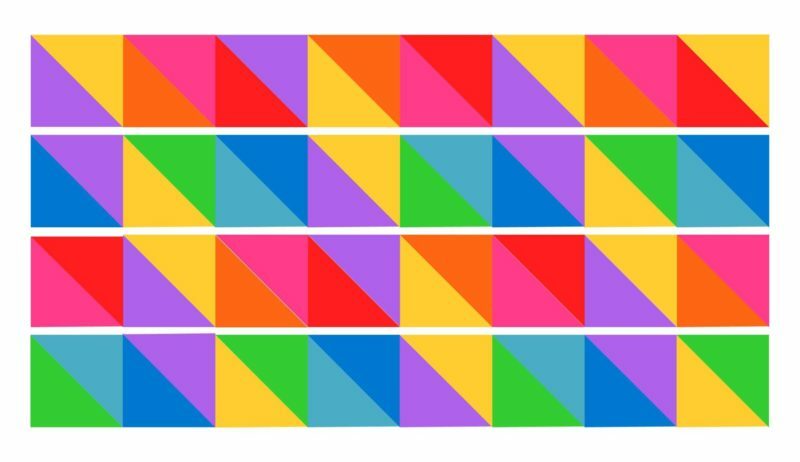 Urban Supergraphics | Murals designed by Zena O’Connor include the above design, submitted to Bondi Beach sea wall mural project. An initiative by Waverley Council, this projecy aims topromote artists and encourage art, design and street art culture along this famous beach. The design references maritime signaling traditions, serving as a reminder that Sydney is still a working harbour and acknowledging the city’s connection with sailing and trade. Bondi Beach pivots between it’s famous beach, sand, surf and seaside activities and the sailing boats, cruise ships and freighters that pass Bondi on their way via Sydney Harbour to destinations across the Pacific Ocean and beyond. 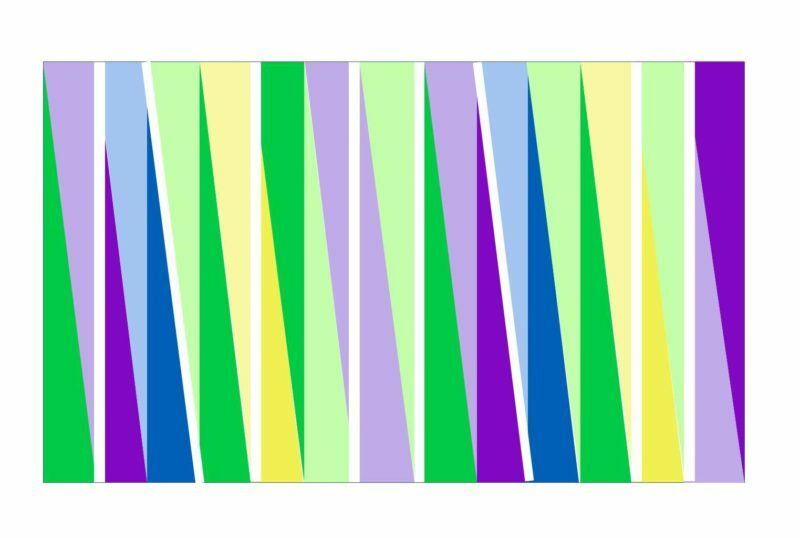 The colours are bright and cheerful, reflecting colours often associated with seaside activities. 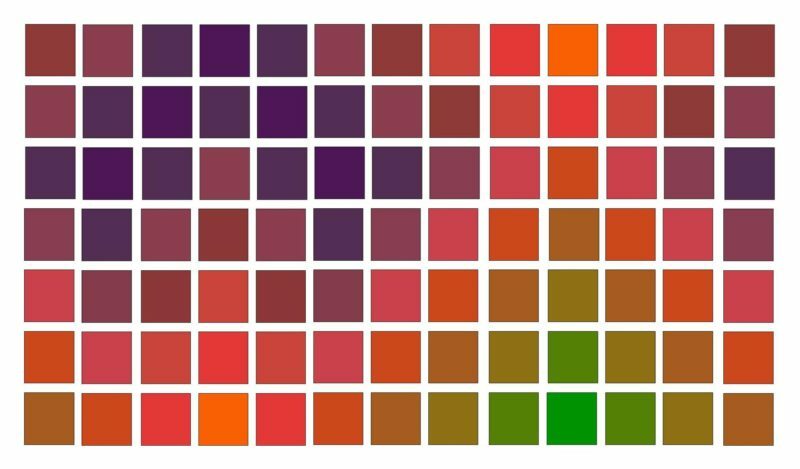 Colour interventions, murals and supergraphics are becoming more evident in urban areas, retail, hospitality, commercial workplace environments, retirement and aged care facilities. Urban supergraphics, murals and colour internventions add visual interest but more importantly transform and activate urban spaces. The Sydney-based Collective Collective is a collection of like-minded designers who collaborate on Urban Supergraphics | Murals and Crosswalk projects. For more information about the Colour Collective, go to the Instagram @the.colour.collective here. Many cities around the world are incorporating urban supergraphics and murals. 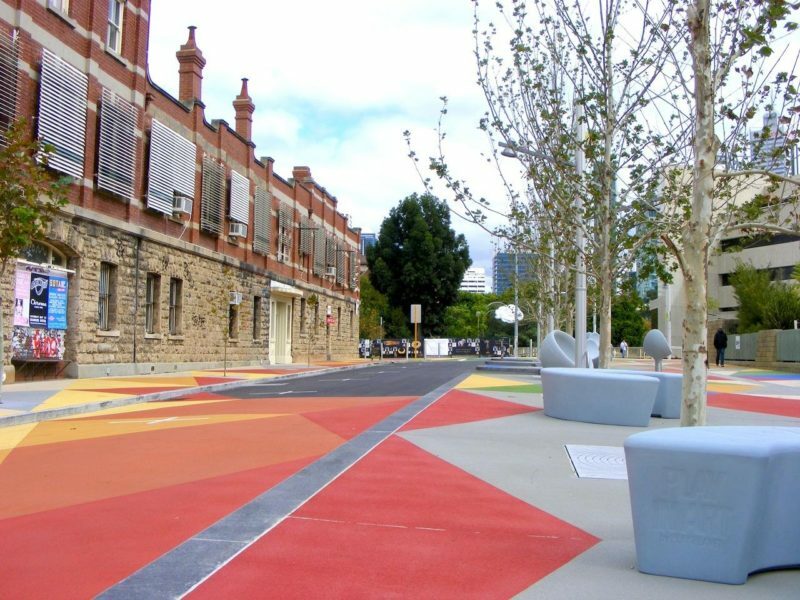 These have a way of transforming and revitalising the built environment, plus encourage engagement and interaction in areas that need transformation or in specific-use areas such as cafe precincts and plazas. In the Garment District, New York, a supergraphic weaves its way along two car-free blocks on Broadway between 36th Street and 39th Street (2017). It delineates a new ‘Urban Garden’ plaza that features cafes, planters, street furniture open to pedestrians only. 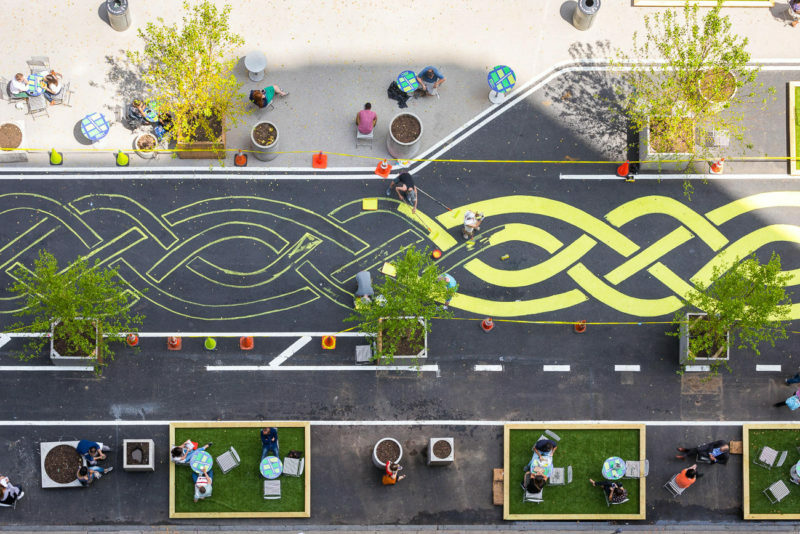 The interwoven pattern represents the rich tapestry of people, businesses and history of the garment district in NYC. The Garment District Alliance @garmentdistrictnyc commissioned the mural as part of an initiative to revitalize the district and it was designed and painted by Steed Taylor @steed_taylor Image credit: @etchingsofnyc This image shows the supergraphic work in progress. This is Superkilen public park in Nørrebro, a district of Copenhagen, Denmark. The project is part of an urban improvement plan coordinated by the City of Copenhagen in partnership with Realdania – a private Danish association which supports philanthropic projects and whose aim is to improve the quality of life and benefit the common good by improving the built environment. 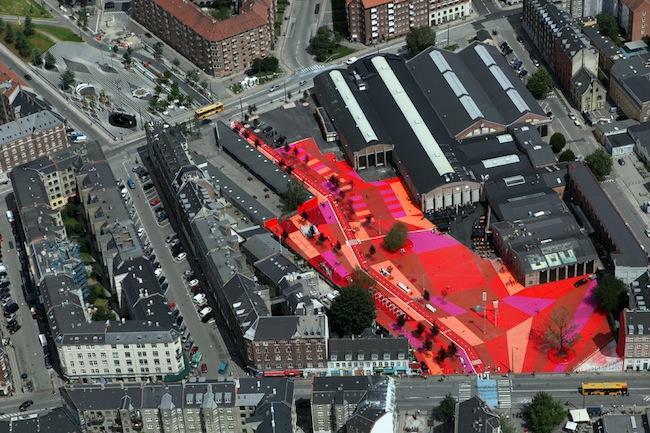 Designed by the Danish arts group Superflex in collaboration with Bjarke Ingels Group (architects, designers, builders) and Topotek1, a German landscape architecture firm. The park has a total area of 30,000sqm and includes a large green park, a ‘black’ market and a red square painted in saturated red, pink and orange. The park won the 2013 AIA Honor Award in the Regional & Urban Design category, American Institute of Architects and is shortlisted for the Design of the Year, Design Museum London. Image credit: @digitalglobe via @dailyoverview . Western Australia’s regional towns boast some of the most innovative and supportive arts initiatives in the country. In Kalgoorlie, WA, 22 local artists are contributing murals for the Heartwalk initiative which will run from 2017 to 2018. Heartwalk aims to revitalise and transform Kalgoorlie CBD including vacant shopfronts in Hannan Street. The initative, supported by a number of organisations including the WA Government Department of Regional Development, Country Arts WA, and the City of Kalgoorlie, came about after a period of social disruption. 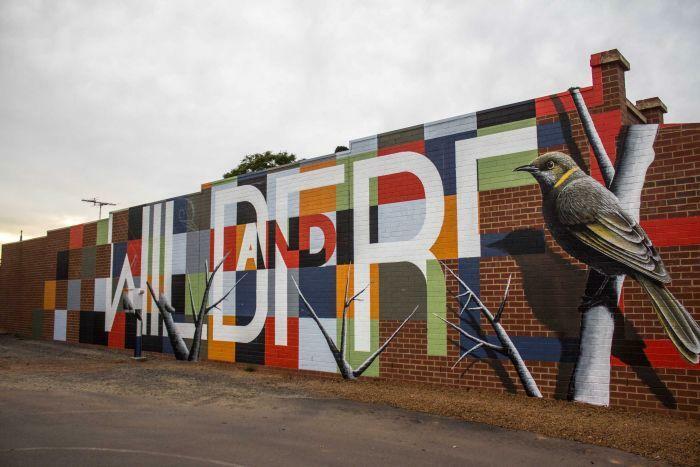 ‘Wild and Free’ mural is by Brendan See and its on Hannan Street, Kalgoorlie (2017). 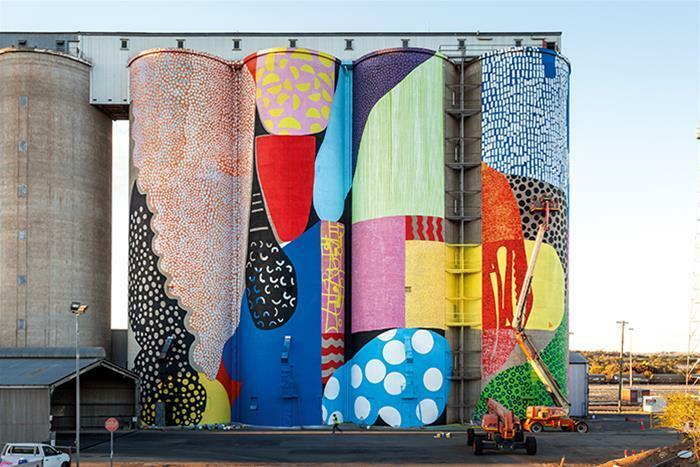 These silos in Northam, WA (100km east-north-east of Perth) were transformed by US-based artist Hense and UK-based Phlegm. Andrew Nicholls, curator for FORM, the arts organisation that has brought Hense and Phlegm, says that arts-based initiatives and artists like Hense have revitalised regional twons and also brought greater involvement and recognition for local Aboriginal artists. This is a supergaphic project at Museum Street, Perth (2016).